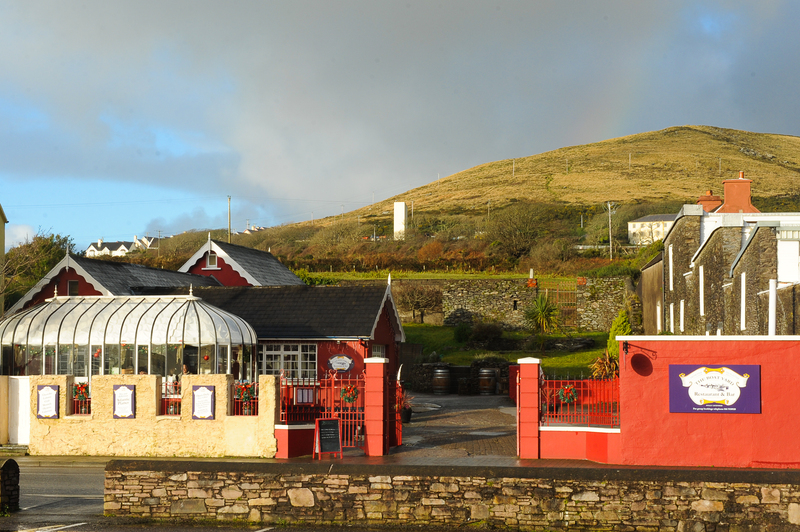 The Boatyard Restaurant where I work in Dingle serves the very best of fresh Dingle and Kerry produce. The fish comes straight from local fishing boats . Today I am sharing a favourite of mine that we serve in the restaurant ,with Mike Hennessy’s Dingle Bay Crab , Sheehy’s Prawns and Dingle Farmhouse butter . Make the pastry :sift the flour and a pinch of salt into a bowl .Rub in butter to give a texture that resembles fine breadcrumbs. Make a well in the centre and mix in just enough cold water to form a light smooth paste .Wrap in cling film and rest for 30 minutes before use . Place equal amounts of crab meat in the tartlet cases. Place a prawn tail in each tartlet. Whisk the eggs well. Add the cream, dill, spring onion,lemon juice and season.Once incorporated divide between the 4 tartlets, keeping the mixture within 3mm of the top of the pastry. Top with the crumbled cheese . Bake for about 25 minutes or until light golden brown and set. Garnish each tartlet with pickled dulse and a beetroot cube .